NEUTRON brings smart meter features to your standard utility meters—electricity, water, gas, heat and so on—sending online data reports straight to your PC or mobile device. Installation of your IonSign NEUTRON is simple and quick. It is versatile, dependable and supported by a cloud service. A NEUTRON user can receive data from their connected meters in real time, in a single web interface. 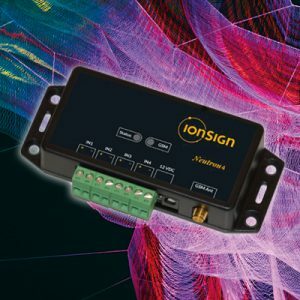 The IonSign NEUTRON concept is designed for remote monitoring of energy and utility consumption. No longer do users need to access the meters directly to get an accurate reading—instead, the readings come to them. The ‘user-friendliness’ of the data reports allow users to make informed decisions on developing energy procurement, energy efficiency investments and energy usage behaviours. Whether you’re a land or property owner, energy consultant or onsite project manager, NEUTRON provides the essential information you need. By default, data is logged hourly, half-hourly or quarterly and reports are generated on a daily basis. Optionally, readings can be sent periodically in anything as low as one-minute intervals. 0121 327 7771 to get yours.